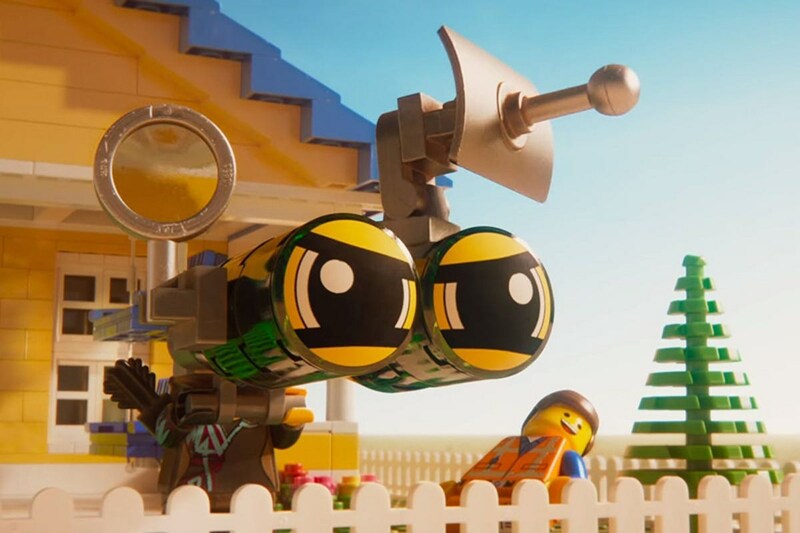 Big Eyes Loves THE LEGO MOVIE 2! 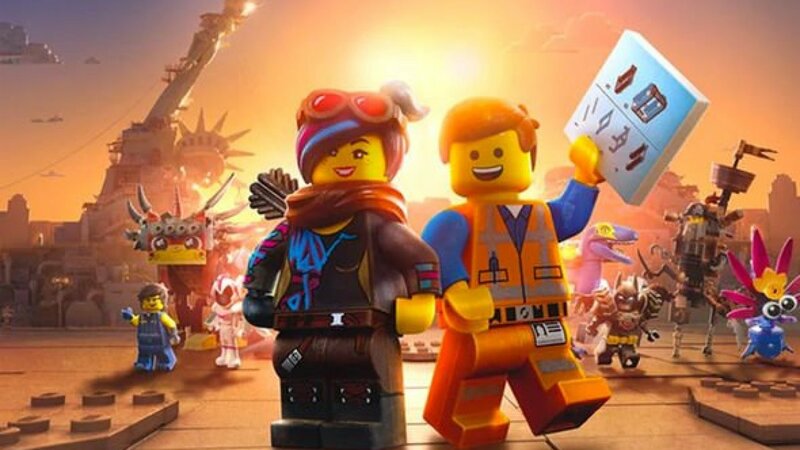 It was really hard for me to get excited for THE LEGO MOVIE 2: THE SECOND PART because just like in the trailers for the first, they didn’t really give away what the movie was really about, and I’m glad that a movie about Legos can keep me pleasantly surprised. In order for me to properly analyze some things, I need to go into detail. So reader be warned, this review may be spoiler-lite. 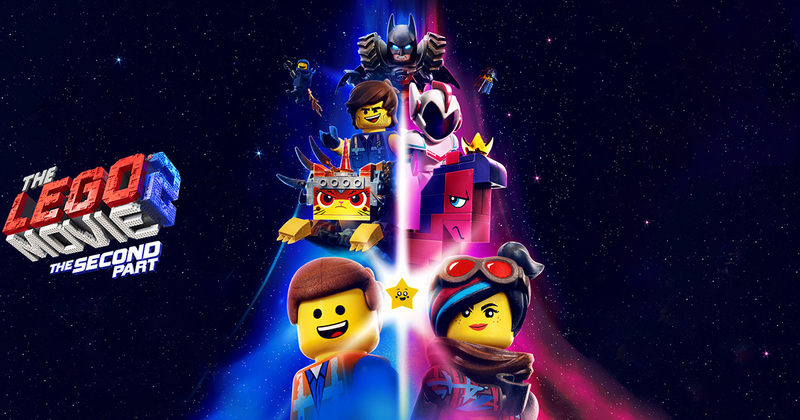 THE LEGO MOVIE 2: THE SECOND PART is fun and imaginative. Picking up right after the first movie, THE SECOND PART begins with Emmet moseying about his day as chipper as ever in their new post apocalyptic world. At the end of the first movie, dad decided that it was okay for son to play with his Legos now, but to be fair to all the kids, daughter was invited to the party too, thus cutesy aliens invaded their world. Emmet’s romantic interest Lucy, who once went by the name “WyldStyle” in the first, is found brooding about their new dystopia. Emmet tries to brood with her. He describes an on dream he had about a dolphin alarm clock which appears to be just a fabrication of his innocent mentality, but later proves to be foreshadowing of “Ourmomageddgon”. You can probably guess what that means without too much thought if you saw the first. Lucy is not pleased with how not dark Emmet’s dream is. Wanting to move forward with Lucy, Emmet builds them a typical house with a white picket fence and a waffle room. Disturbed by the fact that Emmet would try to build something that would attract alien destruction for her (as she justifies it), Lucy tells Emmet that he needs to grow up, thus sending both of our protagonists on their own, but parallel, character building arcs. The movie touches on themes of miscommunication, misconception, and most of all: growth and perspective. Lucy has a warped idea in her head of what it means to be mature, and later her insecurities and the unstable changes she has made for herself are revealed, and Emmet sets out to become a more “mature and cool dude”. Emmet’s arc is the most interesting by far of the two, as it appears to be fairly relevant to today. By being told he needs to be more mature, he makes the mistake of what many think of what it is to “be a man”, and begins to fall into the dangerous territory of toxic masculinity, believing that this is what Lucy wanted. Well, it was what she wanted, but then she changes her mind upon seeing it. 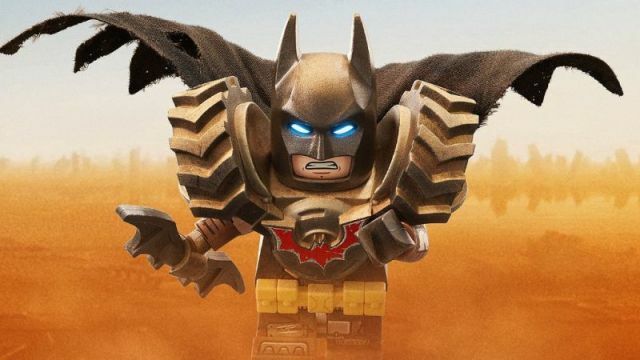 Lucy outgrew her Batman boyfriend and didn’t realize it, so she made the mistake of trying to turn Emmet into that. We find that in the end, the true villain of our movie is the misconceptions our characters have of what it is to be grown. I thought long and hard about it, but I think I can safely say that the sequel was almost as good as the first. In the first one i thought everything was fun and enjoyable and surprisingly went in a rather meta direction. In the sequel, sometimes the jokes were annoying and some things didn’t quite flow or make sense. We see Emmet’s changes thoroughly because they are happening and explained throughout the movie, but Lucy’s past is sort of touched on about how she made changes back before the first movie, but I’m having trouble recalling if it was said why she made those changes to begin with. I suppose it’s irrelevant but it seemed like an easy way to quickly and further develop that character, if they did say so then nevermind. However, we DO see growth in Lucy throughout the movie. Just like the first, things get meta when we see what’s going on with the son and daughter fighting over their toys. It is easy to surmise that the entire conflict between the characters that we already knew and the aliens are the struggles between the son and daughter/brother and sister playing together. Most of the new songs weren’t great. Though, I can’t be harsh on them because if you listen to the lyrics they’re obviously designed to be pop garbage parody with hilarious lyrics. There were also variations on “Everything is Awesome” which became “Everything’s Not Awesome”. “Everything’s Not Awesome” comes with a huge message that everyone can take from, but I don’t want to spoil the end. There’s a lot of great jokes in there that far over shadow the bad ones. There’s lots of old movie references, new movie rips, Bruce Willis himself is a part of the movie as a running joke. 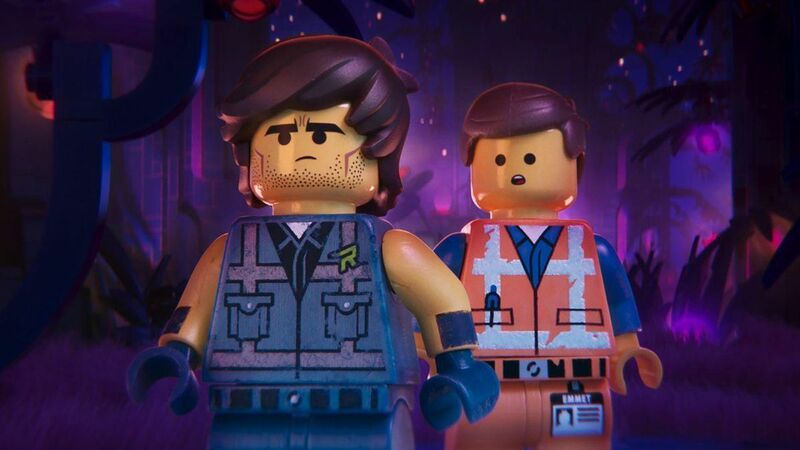 There’s a character that exists that is a combination all of Chris Pratt’s other movie roles that he also voices along with Emmet, though in the back of my mind it has me questioning his real life duality as a person and what he may be going though. Buuuuut, that character was probably just an invention of the writers so I could be overthinking it. There’s a handful of characters that I don’t think I can even begin to address without hard spoilers, so forgive me for not talking about them, or even naming them. Go see the movie, you’ll have a lot of fun. If you liked the first one, you will like the sequel! I personally found that I liked the first with more views, I’m pretty certain I feel the same about the second because there’s a lot to unpack about the two of them. 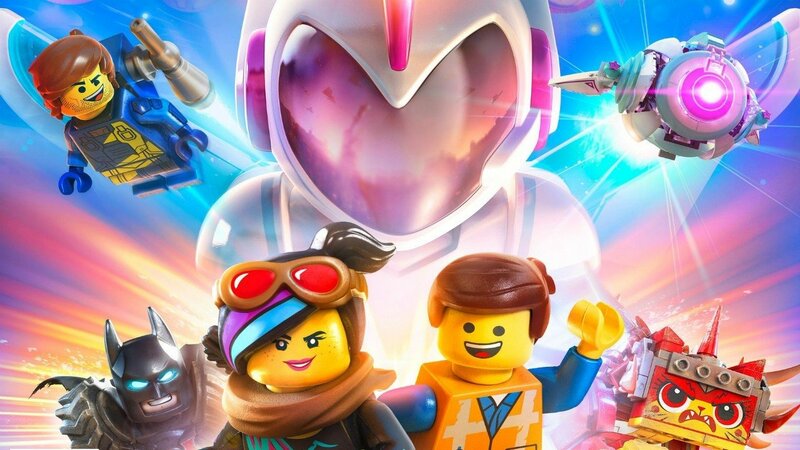 THE LEGO MOVIE 2: THE SECOND PART is out now!